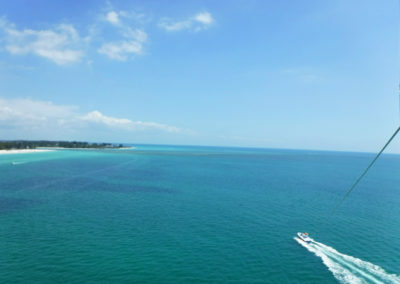 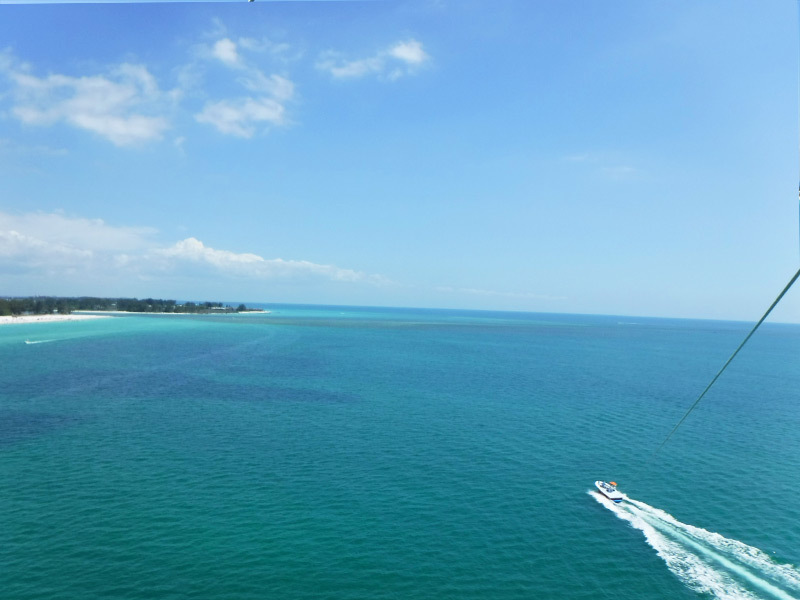 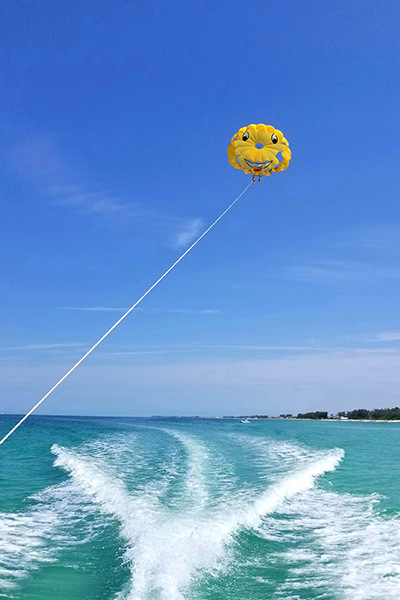 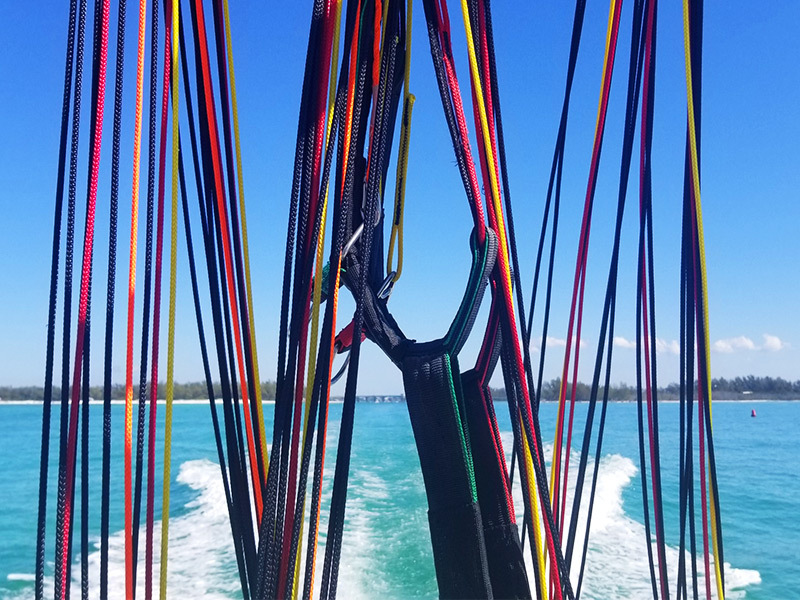 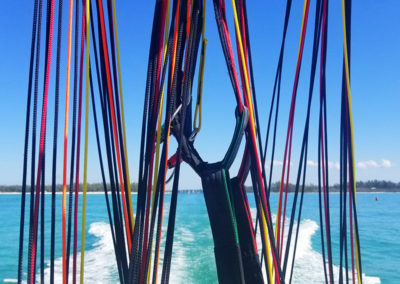 At YOLO Adventures, experience the thrill of a lifetime by soaring above the Anna Maria Island and Gulf Coast parasailing. 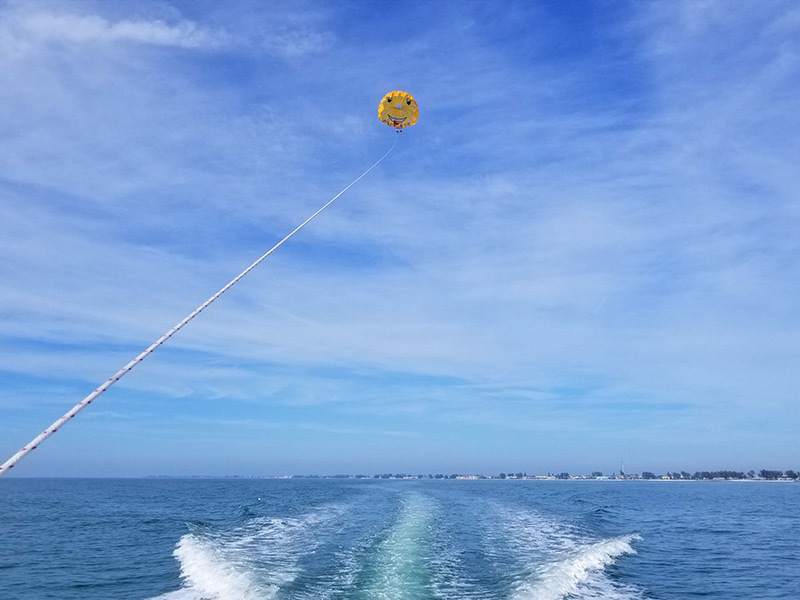 Gentle takeoffs, water dips when requested and smooth landings are always provided by our experienced USCG licensed crew. 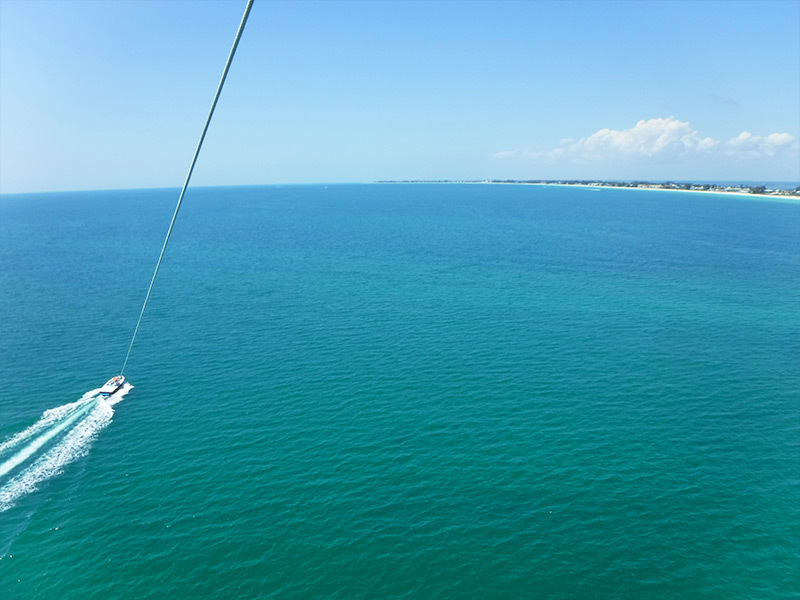 You’ll get to see AMI and Cortez, FL from a whole new perspective! 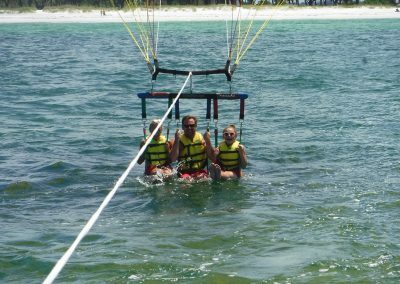 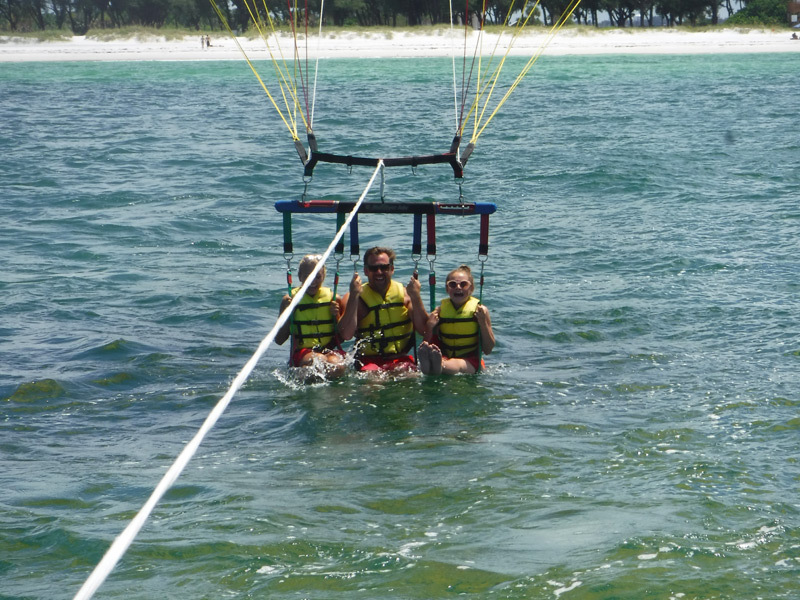 Parasailing is a fun and safe family activity for all ages, that everyone will remember for a lifetime. 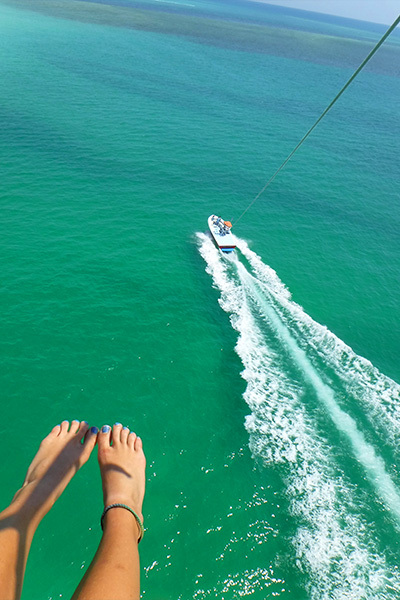 Give your vacation that extra boost of excitement today. 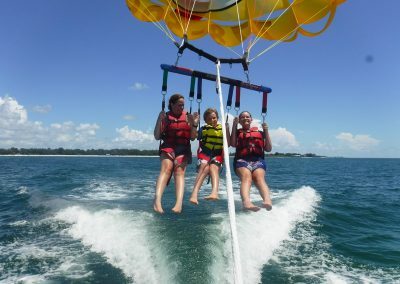 Come fly with us! 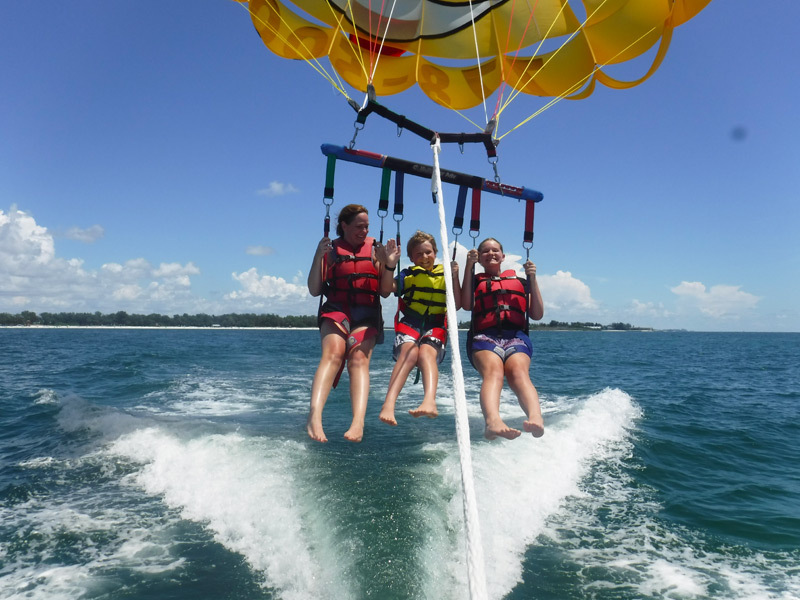 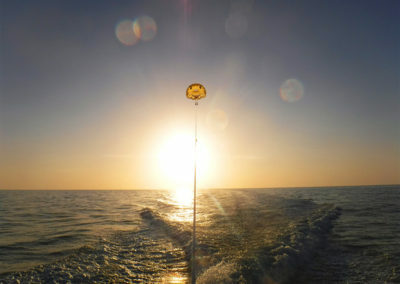 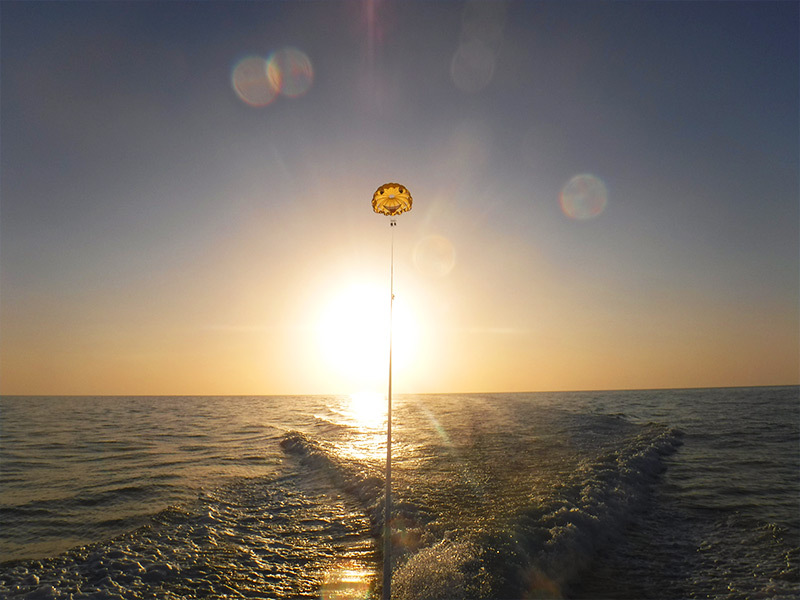 Our parasailing trips are the same for everyone. 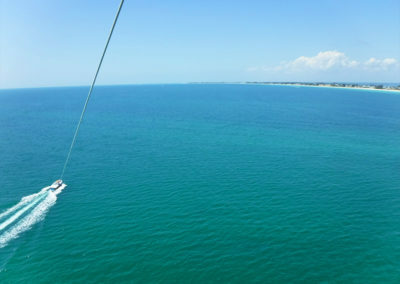 The whole trip from dock to dock will take an hour. 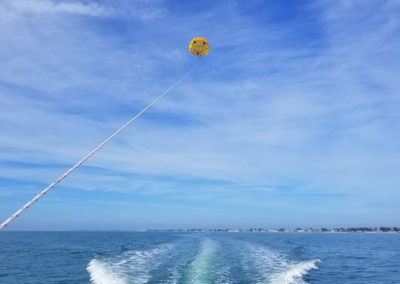 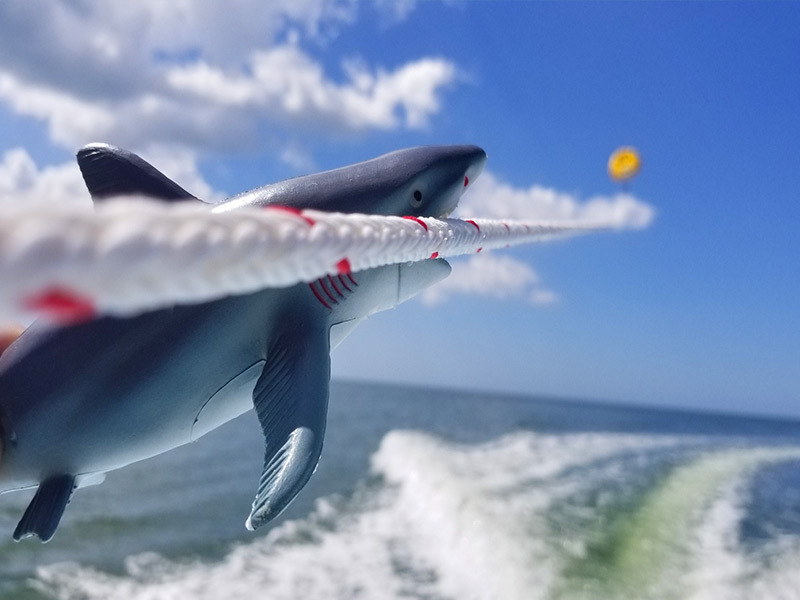 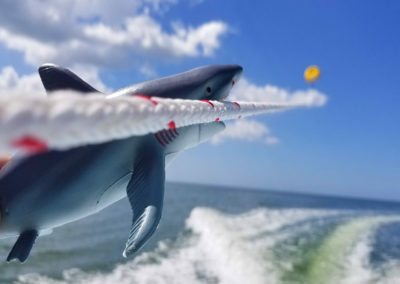 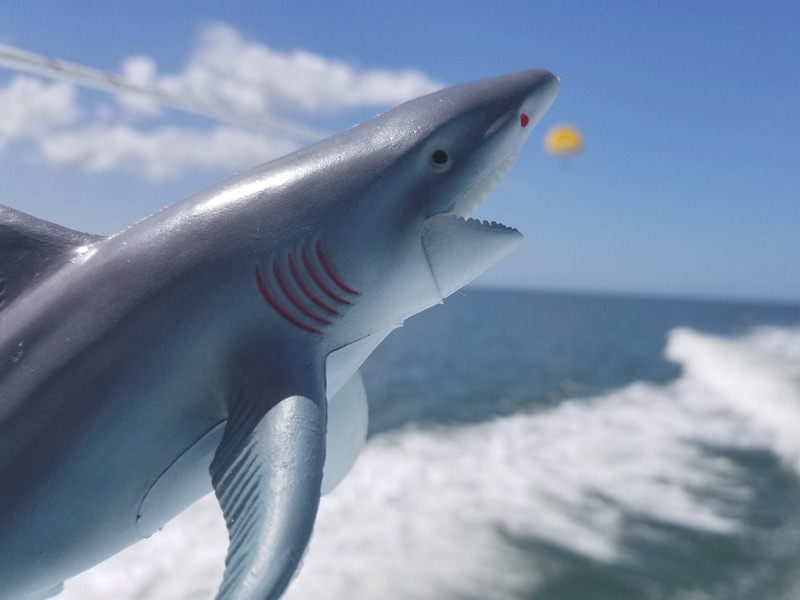 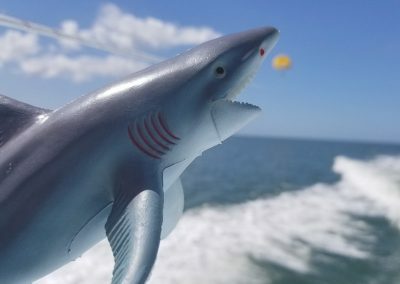 Flight times range from 10-15 minutes, we use 800ft of line and you will be at a verticle of 400ft in the sky (If any other parasailing company tries to sell you on something else, they are just trying to nickle and dime you, FAA regulations do not let us fly any higher that 400ft). 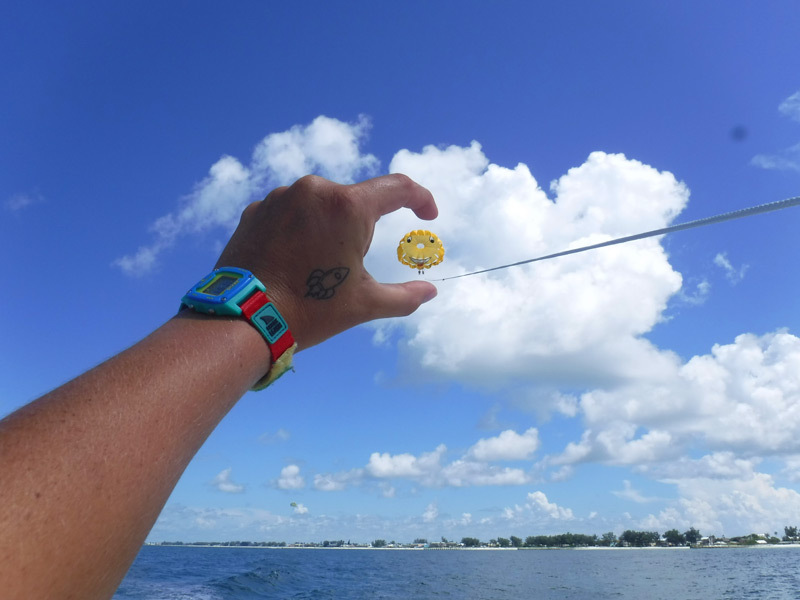 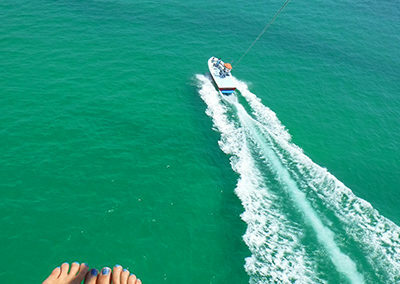 The price of a parasailing trip is $79 per person. 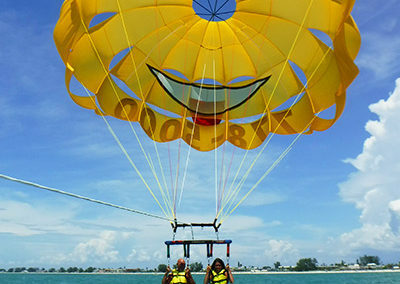 We have not changed our prices in over a decade. 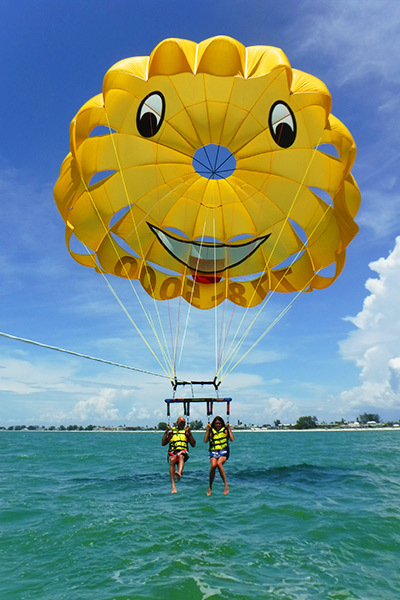 Our ultimate goal is to put a smile on your face by sharing one of our favorite past times with you.